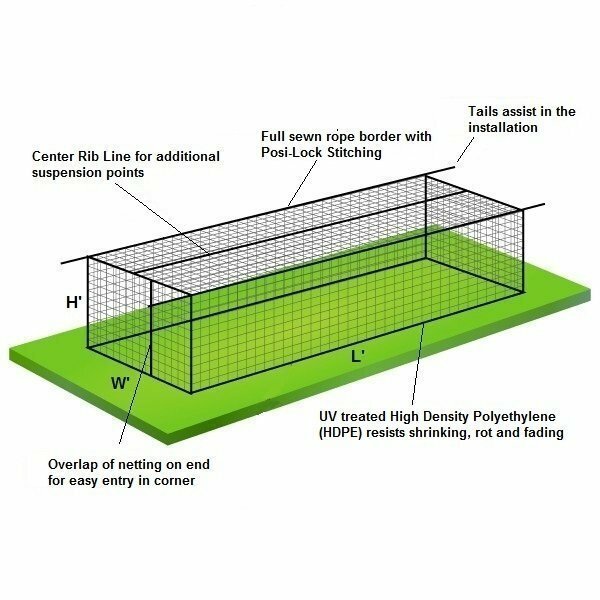 The Master Pitch Batting Cage Deal is a complete Batting cage package that includes a Steel Tubing Frame, #42 Heavy-Duty Batting Cage Net, Standard 7′ x 7′ L-Screen and the “BP Catcher” Pitching Target. 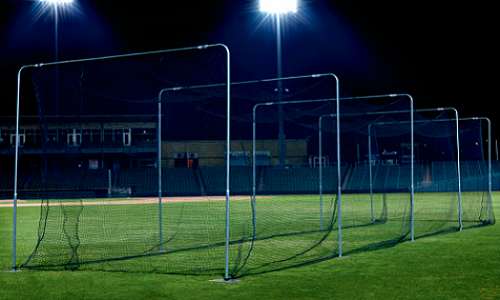 Everything you need to get you hitting in a cage. Also included in the package deal are detailed installation instructions and all the needed materials to erect the frame. For Net Only Click Here. Access door on end for easy entry. 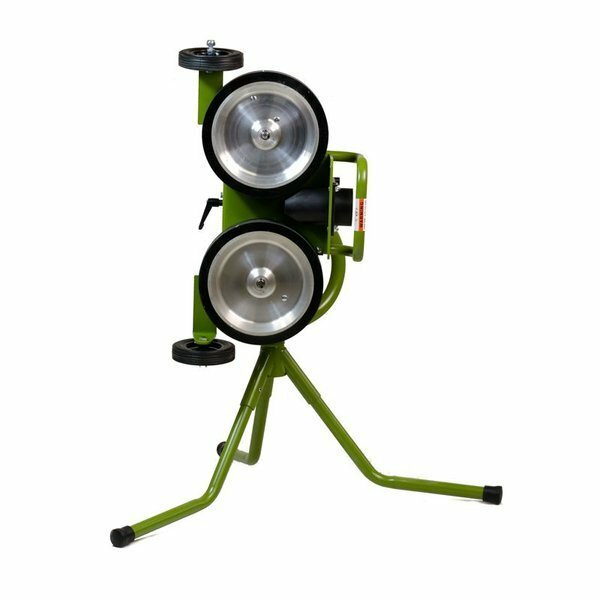 Excellent for Both Indoor or Outdoor applications! Heavy Duty 1.5″ O.D. steel tubing frame. Snap-pin construction makes assembly easy. Pillowcase Style #36 Net for easy installation. 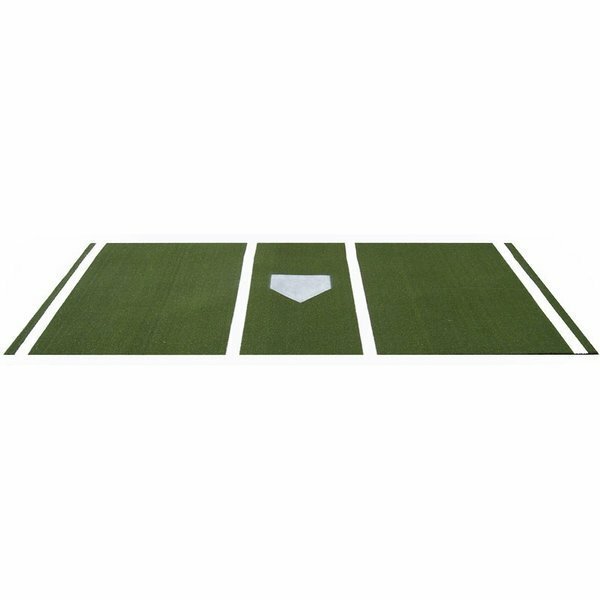 The “BP Catcher” Pitching Target is a digitally printed pitching target of a catcher in the set position. 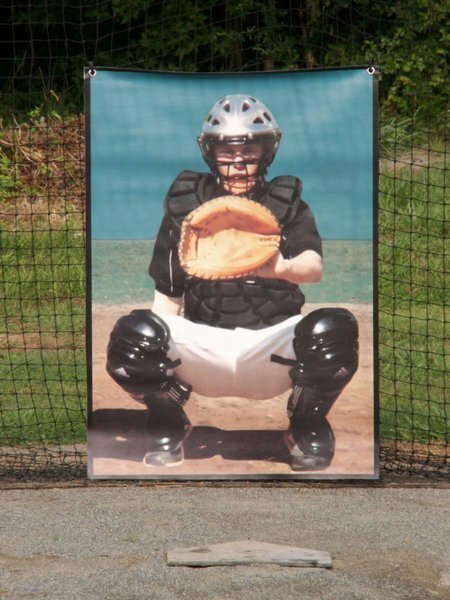 The “BP Catcher” target gives a pitcher a realistic image to focus on while practicing. 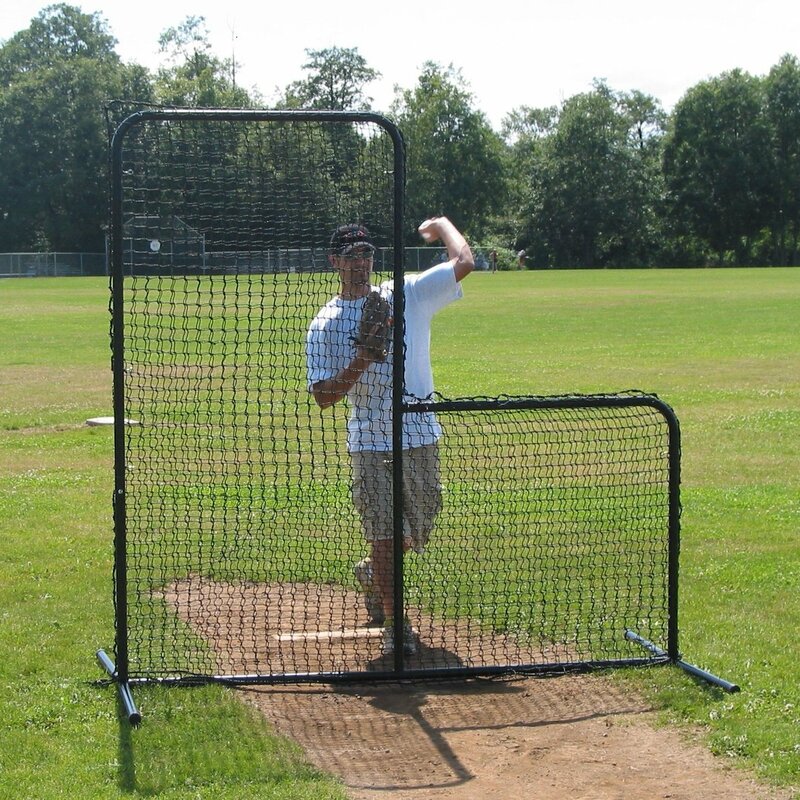 The design of the “BP Catcher” allows you to hang it in your batting cage behind home plate. 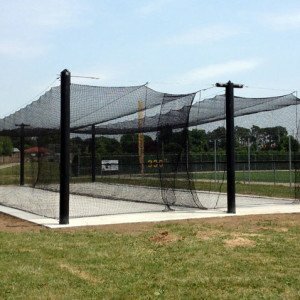 All our batting cages are assembled with high quality materials and craftsmanship in a ISO9002 certified manufacturing facility. Because our cages are hand made, from the finest materials, we rarely have to deal with warranty issues. Our policy is to promptly and enthusiastically repair or replace at our option any product that is defective in materials or workmanship. You return the product to us, and we will pay for the shipping back to you. 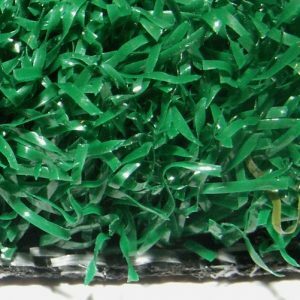 Naturally, netting products do incur normal wear and tear, and normal wear and tear is not considered a defect. If the product isn’t defective, but you change your mind, we will still accept returns on stock items. For custom orders we can’t accept returns, nor can we accept order cancellations after we have cut the netting. Stock items must be returned to us within 15 days and the product must be unused. We will reimburse you for the price you paid less a nominal 15% restocking charge. Naturally we don’t reimburse your shipping charges.